Creating layers of lighting by up-lighting the ceiling to show log trusses in silhouette. 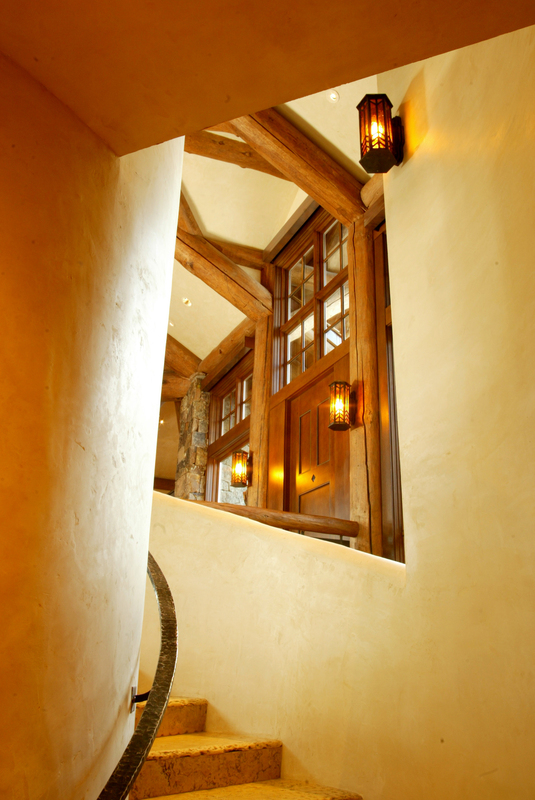 Grazing of the stone fireplace brings out the texture and warmth of the stone and additional accenting of the artwork all helps create an environment that is inviting and comfortable. 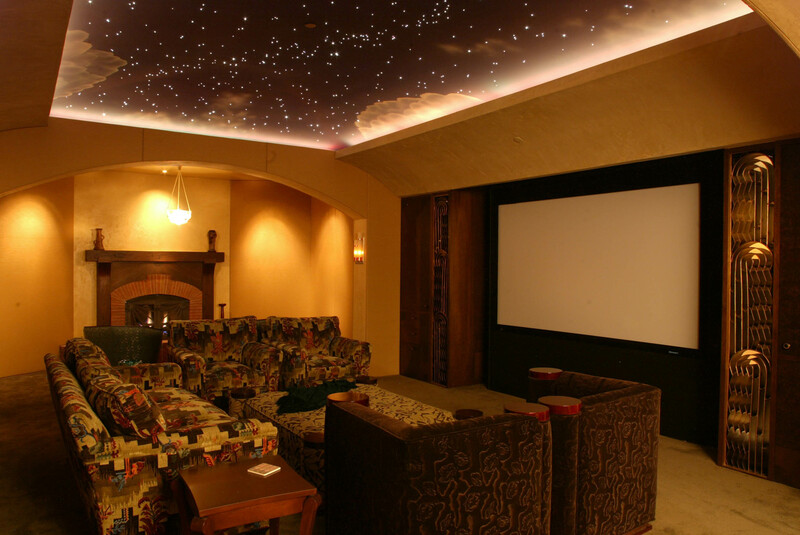 When it came to the home theater, we were given the opportunity to depart from the approach to the rest of the house lighting and provide a more playful solution.